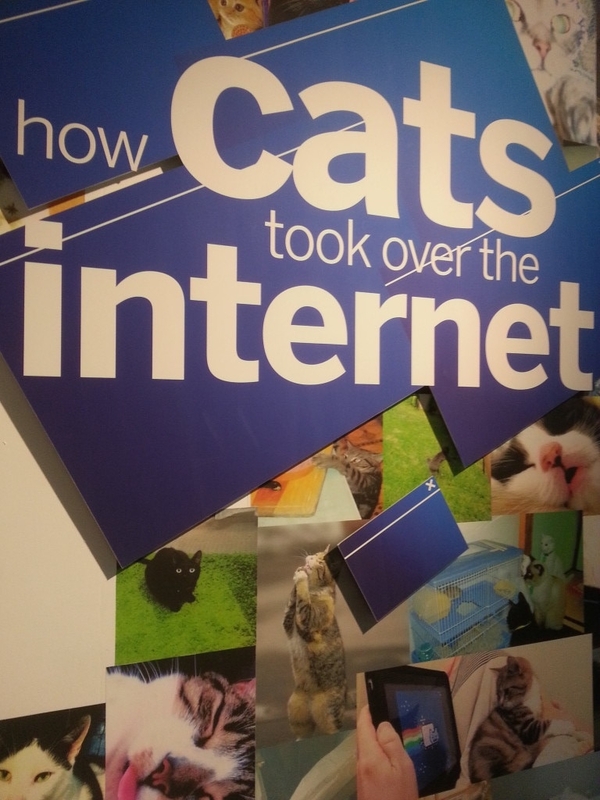 In the spirit of well, CATS, we made a special trip out to Queens to visit the Museum of the Moving Image's exhibit, "How Cats Took Over The Internet". In our opinion, the cats exhibit was not nearly large enough, but we are a cat blog, after all so really nothing short of a whole museum will do. When is that happening, BTW?! Someone please make this happen. Along with the standard museum fare (timelines, infographics), you also had the opportunity to create your own LOLcat. If you are in the NYC-area, definitely do stop by, although I wouldn't necessarily make a special trip from say, Kansas. It's an interesting look at how cats have permeated pop culture and explores why they are so popular on the Internet (and in real life!). There are some interesting theories, one of which is that: since dogs are natural people-pleasers, they try to act for a camera - whereas cats, who are naturally aloof and nonchalant, are funnier on film because it seems more accidental. What do you think? along with some other cat paraphernalia. You know, us cat junkies just can't help it. May 26 Interviews With Cats: Esteban the Snaggle-Toothed Cutie & Co.